Follow Bermstyle.com for the latest in gear reviews, news of epic trails and tips for enhancing the ride. 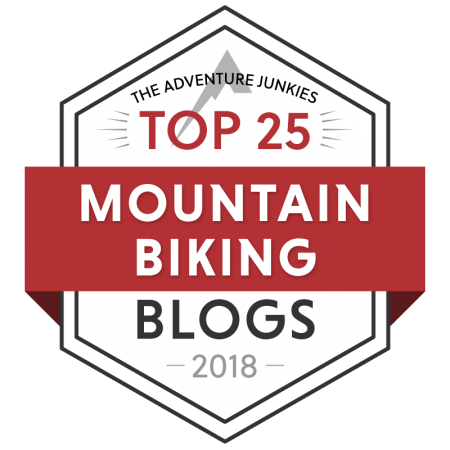 Documenting mountain biking and cycling in the Pacific Northwest, we’re story tellers, advocates, trail builders and MTB skills coaches that live to have fun on bikes. Our mission: aid in the growth of the sport by acting as a resource for riders both new and experienced. We believe in leading by example and feel it is important to be an ambassador of the sport. Regardless of our location, we have consistently have been active with our local bike advocacy groups, whether it’s acting as ride leaders and helping build community, or by designing and leading trail projects. We have experience as pro trail builders and are currently involved in helping build our local bike parks in partnership with our local club and the parks department. Towards that end we continue to create content with the aim of providing online resources for pump tracks, information on trail building, bike repair and developing bike handling skills. The site initially began as a creative side project documenting life on wheels. Based in Portland, Oregon, we can be found up and down the west coast, exploring the newest trail system and epic destinations. 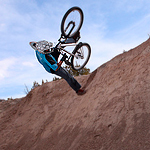 His cycling photography has been featured in Bike Magazine, Mountain Bike Action, Dirt Rag, Bicycling, Decline Magazine, Enduro MTB Magazine, the New York Times, Momentum Magazine and a few coffee table books. A UBI certified bike mechanic, former professional trail builder and is an experienced Bicycle Skills Coach certified by the Professional Mountain Bike Skills Instructor Association (PMBIA). He currently coaches for www.Bikeskills.com in Portland, Oregon. Although he considers himself a “Mountain Biker”, Jason has an ample quiver of bikes that include trail and enduro bikes, a downhill bike, an XC bike, dirt jumper, road bikes, fixed gear and a commuter. Follow Jason on Twitter: Twitter.com/Bermstyle and on Instagram. Inga loves mountain biking; so much that she felt inclined to give back to the sport that makes her so happy. First working for the International Mountain Bicycling Association as part of the Trail Care Crew Program with her partner Jason Van Horn, she had the opportunity to travel and experience trails all over the U.S. and Canada. After IMBA, she returned to a more conventional existence continuing to give back to her favorite sport, working with the Bicycle Trails Council of the East Bay as their Membership Director and ride leader for the monthly women’s Ride Like a Girl rides, the San Francisco Urban Riders as their Community Manager and the Bay Area LUNA Chix Mountain Bike Team organizing women’s monthly rides and clinics. She is on her sixth year working with Bikeskills.com as their Marketing Manager and Instructor. She has also spent the last 8 years contributing to Bermstyle.com as an editor, model and test rider. She currently resides in Portland, Oregon working as the Director of Marketing for Cart Logic – an eCommerce Agency. Her favorite client is Velotech, Inc, the parent company of Western Bikeworks, BikeTiresDirect.com and Athletes Lounge. She loves (and owns) bikes of all genres, but is most excited to hit the trail. 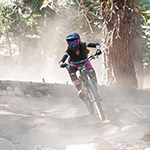 You can find her pedaling just about anywhere in Portland, and on her time off can be found riding at Sandy Ridge, Post Canyon or exploring a new trail. Inga is currently available for private mountain bike clinics, modeling or talent gigs. If you are interested in working with her, please do not hesitate to get into contact. Follow Inga’s adventures on Instagram and Twitter. Adam spent years as a site manager for a popular Mountain Bike Forum and website, but now works as a Developer in San Francisco; we made him move to Portland to ride with us. This site occasionally uses affiliate links. Purchases made through these links result in a portion of your total purchase given to Bermstyle as part of a revenue share. Most of these funds go towards hosting fees, expenses and new tires. We’ll always focus on products we’re psyched on and we ride every product we review extensively. If we don’t like a product it’s unlikely we’ll write about it because life’s too short to have a bad ride.